If you see this error message: “Can not write to this SD card G;\. The media is write protected. This card my be defective. Please change to another SD card. It is also possible the SD card is locked. 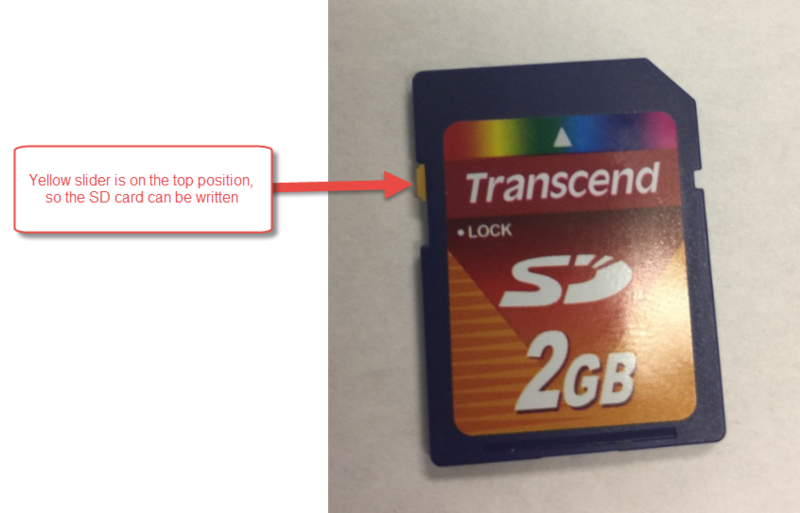 Please refer to this image to make sure the SD card is in Unlocked position. If it is already in the unlocked position, then try with a different SD card, different USB port, and different SD card reader.